Alison, the sweet gal behind aPearantly sew is next up on my sponsor highlight list & I'm thrilled that I get to brag about her for an entire post. 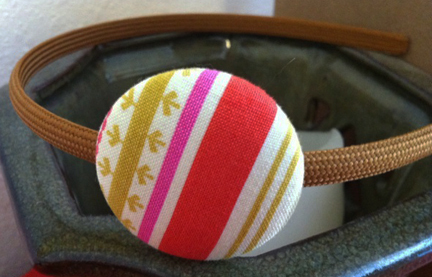 aPearantly sew offers accessories for women. 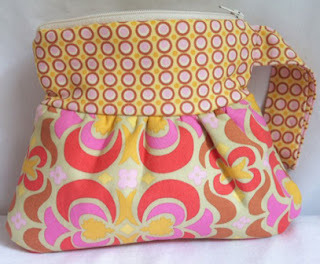 Alison sews gorgeous clutches, makes fun headbands & bobby pin sets, and also has great zipper wristlets. Functionality meets cute. Alison recently had a successful day of craft shows (yay! ), so although her shop seems bare, keep an eye out for some new things that will be popping in shortly! I can't wait to see what she sews up next. 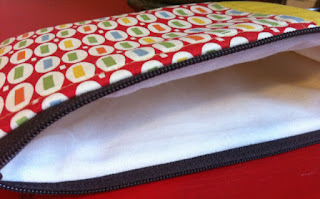 Today, Alison is giving away this CUTE wristlet pouch. I told you she was sweet! Head on over to aPearantly sew & leave a comment telling me your favorite item in her shop. 2. Follow Alison AND Oh, Sweet Joy on twitter. 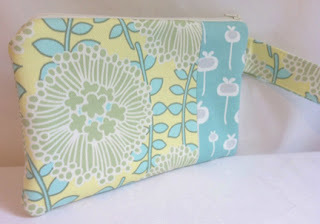 Blue, green & yellow (small zippered pouch)! I tweeted it and I follow Allison! Thanks!! i've been in love with that floral wristlet for a long time. I love Alison! She's so sweet. 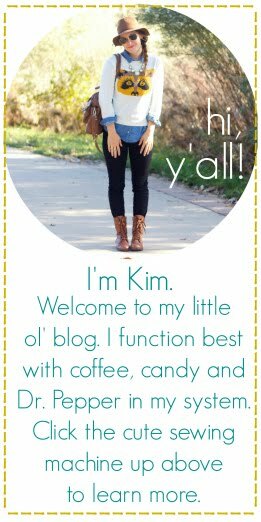 I'm your blog follower, yes! i'm diggin the leafy tote bag....super cute! I LOVE the leafy tote! :) SO cute! I love the wristlet clutches - so cute! really really want to the make the "tiny trees tote" my new bag! My favorite item is the leafy tote. It's the perfect fall accessory! LOVE the wristlet pouch in Heather Bailey prints! I'm a follower of your glorious blog! I'm a very happy follower through GFC! I like the Spring Stripes headband on brown. So cute! I follow Alison and Oh Sweet Joy on twitter. Oh my word! What cute stuff! I love the Leafy Tote and Wristlet 1. I love the blue, green and yellow zippered pouch!! So cute! love the tiny trees tote! i love the leafy tote! adorable! i love the spring scallops hairpins - they are so cute!! The Pink & Green Stocking would be so stylish for the holidays! My favorite item is the Leafy Tote. So cute and fun! I tweeted about this fun sponsor and the cute giveaway! I am absolutely in love with the cute wristlet clutch -1. It is so darling! I think every sing item in her store is adorable. Great job on making such cute little purses and accesories! 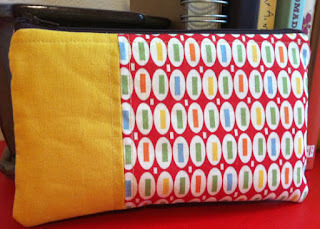 My FAVORITE is her Blue, green & yellow (small zippered pouch)... The colors are so lively, they cheer me up everytime I see it! Love the Autumn Floral small Zippered Pouch! Thank you. Oh I love the wristlet clutch 2! It's such a fun shape! oh i follow. of course. I love the green grid coin purse. my favorite is the leafy tote. I really like her wristlet clutch - so adorable! And I've added her on Twitter! (@alilittle28) & I follow you on Twitter already(as @cuteshopper)! Oh snap! I tweeted this giveaway too! Thanks for sharing Alison's talents with your readers! The bobby pins are so cute!! I love the headbands and hairpins from her shop! So cute! her things are so cute! i lovee it. i like the tiny tree tote. soo cute!